What a treat. 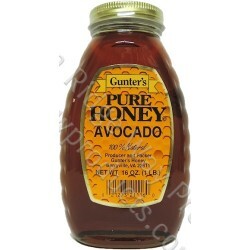 This darker colored honey comes from California Avocado trees and packed by Gunter's Honey. Full and rich with hint of vanilla. Excellent by it self or in coffee or tea but a fantastic honey for cooking, especially baking.